If you guys know me, then you know that I'm a heavy snacker. I love that my husband is too because that means we understand each other. On weekends when we don't have anything busy going on we like to stay home and watch a ton of movies. 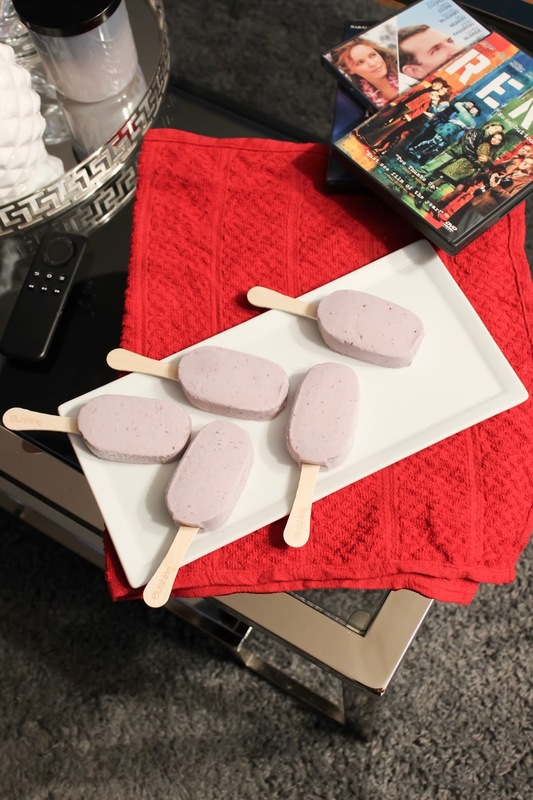 Of course, you know that means we need snacks for movie time. There's something about sitting on the couch while we are all relaxed that makes us want to grab something to munch on. Sometimes I feel that it is mental but don't you guys feel like you need a snack while watching TV at home? My husband and I are trying to get back into our healthy routine and make sure we are eating better so we made sure to get healthier choices to fill up the fridge. 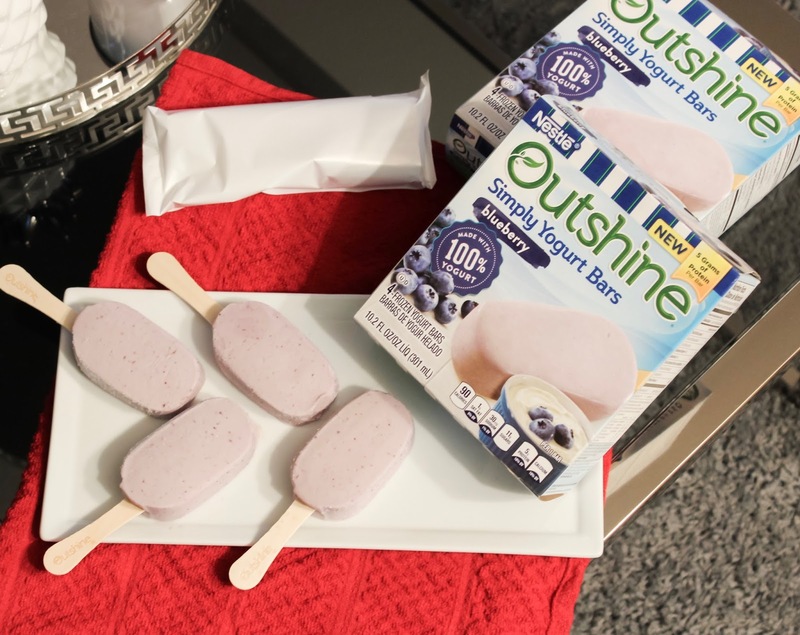 My current favorite snack that's easy to grab, which also happens to be a healthy option, is Outshine Simple Yogurt Bars. I am typically not a fan of blueberries, but I LOVE the blueberry flavor. 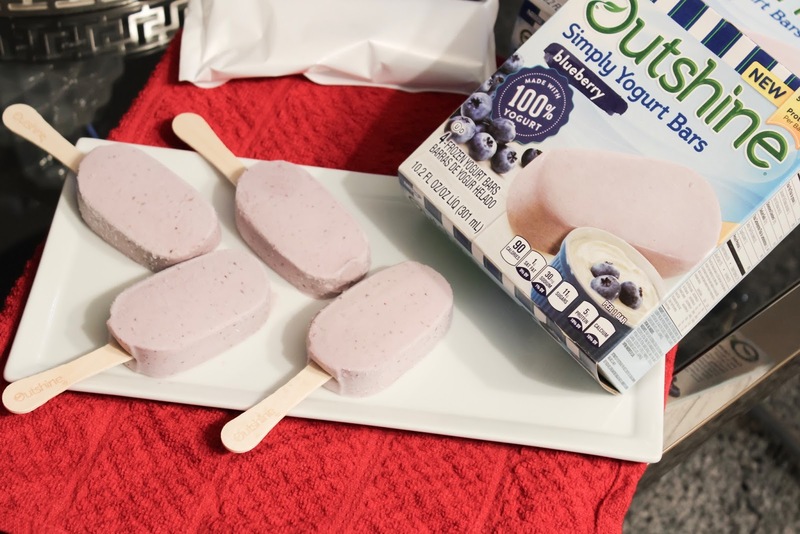 I love that it is made with 100% real yogurt. I even have my husband addicted to these! It is such a healthy snack option and they carry various flavors. These bars make my tummy happy and really satisfy my snack cravings. 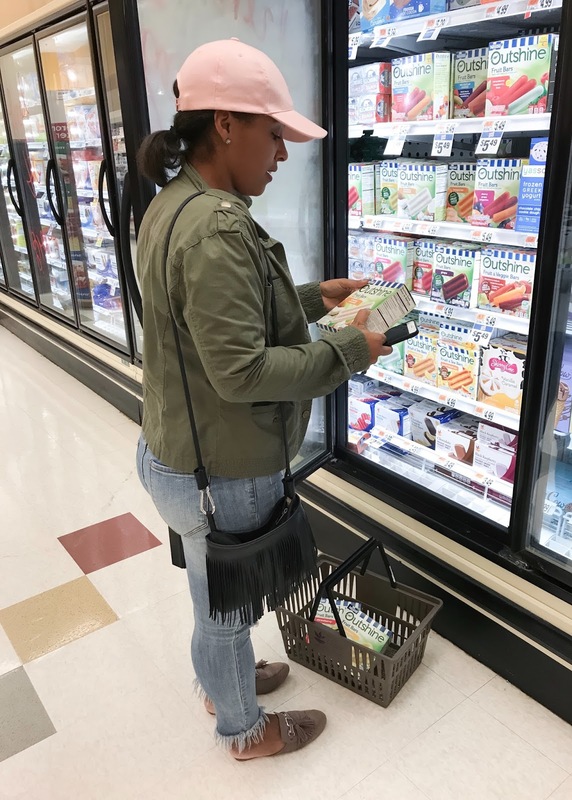 You can find these goodies at Martin's Food, Stop & Shop, and Giant Foodstores frozen aisle. You can also download a limited offer coupon and save .75 cents on one box. 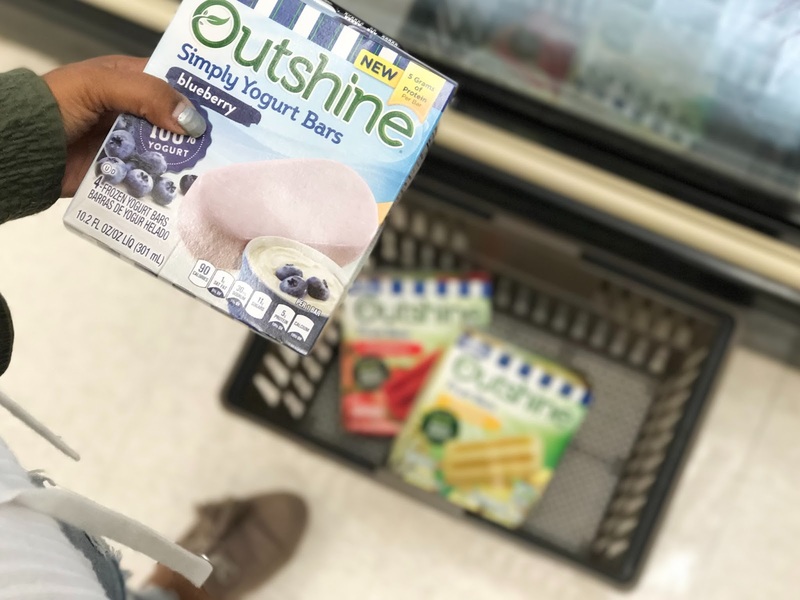 Don't forget to try these Outshine Yogurt and fruit bars when your snack cravings hit and please let me know which flavor you like the best!